The Centre is committed to providing opportunities for women and men to establish and maintain research careers. This commitment is reflected in the creation of a gender equity policy passed by the our Executive Committee and Advisory Board in August 2015.
, and the scarcity of women in senior research leadership positions. This is a well known problem across the sciences in both academic institutions and business. For a copy of the policy, please contact us. Melinda (Lindy) Fitzgerald is Professor of Neurotrauma, a joint appointment with the Perron Institute and Curtin University, located at the Sarich Neuroscience Research Institute. Her research is focused around understanding and preventing the loss of function that occurs following neurotrauma. Prof Fitzgerald participated in Homeward Bound 2016, an international leadership and strategy program for women scientists, run as an expedition to Antarctica, designed to increase the proportion of women in the higher levels of science. As a consequence, Prof Fitzgerald has instituted a UWA Faculty of Science gender equity group and coordinates the UWA Faculty of Science mentoring program for PhD students and early career researchers, that extends across Institutional boundaries. She is a member of the Perkins Institute EMCR Mentoring Committee and regularly speaks at institutional, scientific and community events regarding gender equity in science. Prof Fitzgerald is a Handling Editor for the Journal of Neurochemistry, the Australian representative for the Asia Pacific Regional Committee for IBRO, serves on the international scientific committees for BIOMATSEN2016 and ICNT2016, and is an Editorial Board Member for Neural Regeneration Research and Frontiers Journals. Prof Fitzgerald reviews for numerous scientific journals including EJN, IOVS, Neurochemistry Int. and for international funding bodies including Fight for Sight UK, MS UK, Wisconsin University small grants program, MS Australia, and the Alzheimer’s Australia Dementia Research Foundation. She also serves on NHMRC and MS Australia Grant Review Panels. She serves as Chairperson and Convener of the annual Symposium of Western Australian Neuroscience, and the Perth neuroscience seminar series; and coordinates dissemination of information on all seminars in Health and Sciences in Perth. 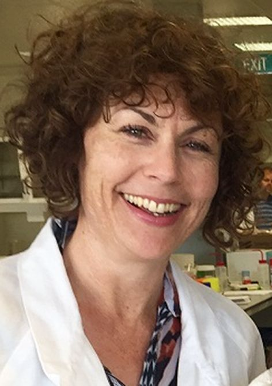 Her most recent contribution is the co-foundation of the Australasian Women in Neuroscience Facebook page, which brings together women in neuroscience for collaboration and support.